Spring is when Mainers emerge from their homes and see what has happened to the exterior of their houses over the past year. Moss growing up the sides, black soot and lichen on the roof and an overall dull look to the house demand attention. 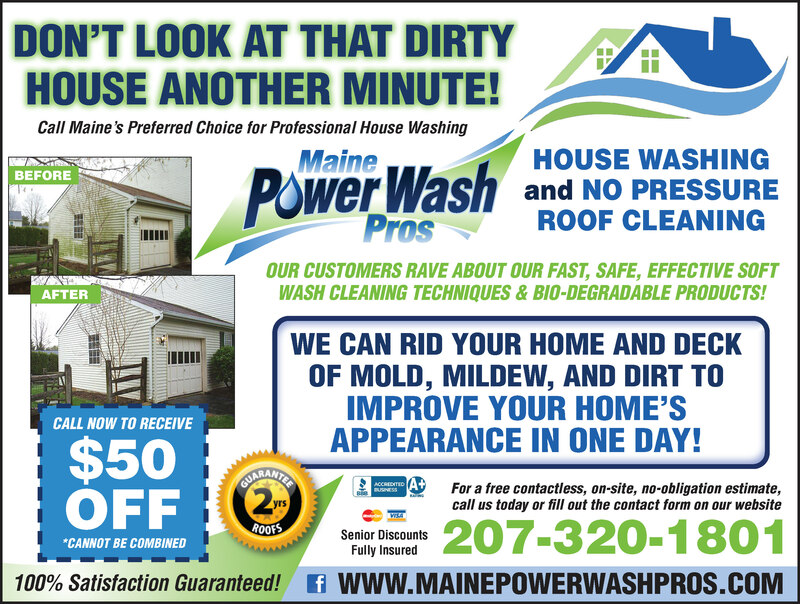 Maine Power Wash Pros can help change the look of the house without the costly time and repair of a full renovation. After only a few hours, Maine Power Wash Pros can transform a home’s exterior, roof and decks back to something a homeowner can be proud of. Brian Condon and Mike Morin opened Maine Power Wash Pros seven years ago. “We worked really hard for other people. 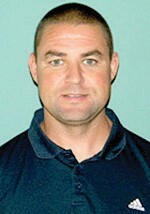 Now we work really hard for ourselves,” Condon said. He admitted there was a learning curve and they took classes and seminars to improve their knowledge. “Everything’s going so good right now,” he said. The business is seasonal from April to October, and in that time they will clean around 700 homes and 200 to 300 roofs from Waterville and mid-coast, to Kittery and all of western Maine. With five employees working in teams of two, they cover a lot of ground to service Maine. Maine Power Wash Pros work on residential homes and commercial properties, including condominium complexes. “Some people are do-it-yourselfers. 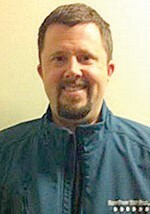 Power washing homes is a dangerous venture for homeowners to take on themselves,” said Condon. Condon also stated that an acquaintance once saw a homeowner fall off a ladder, while power washing his home and the man broke his back. “We don’t stand on ladders to wash homes,” he confirmed. They also wash decks, full surrounds and more. “We are very careful of the homeowner’s home. We leave the property in better shape than when we arrive,” said Condon. They are careful not to disturb flowers and shrubs as they are working. The employees are referred to as co-workers and most are back for their second and third seasons. All are well trained and insured. “There are challenges that some people face, but we don’t have those problems. We have the equipment to be prepared. We’re ready for it, ready for anything,” Condon said. Most jobs will take between one and two hours to complete, unlike when it might take a homeowner a whole weekend. Don’t spend valuable time doing this job, have Maine Power Wash Pros professionally take care of the power washing and leave your house with a restored beauty and curb appeal. Don’t take our word for it. They are accredited through the Better Business Bureau. And if that’s not enough reassurance, please visit their website to read the many testimonials from homeowners just like you. Maine Power Wash Pros offer free estimates. They accept Visa and Mastercard. To contact the company, visit them at www.MainePowerWashPros.com or call 320-1801. You can also find them on facebook. When you call don’t forget to mention their $50 off coupon and ask about their senior discounts.